Last in 2014, Thrillist awarded Clarendon, Virginia, the dubious distinction of ranking it among "The Nine Yuppiest Neighborhoods in America." Thrillist defines "yuppies" as affluent young professionals who can afford to frequent the high-end retail haunts, such as Whole Foods, Starbucks and Lululemon, while keeping the luxury pet-grooming services in business as well. Thrillist takes great pains to differentiate "yuppies" from hipsters -- those recent college grads or grad students who have taste and style but don't quite have the disposable income levels yet of their more affluent counterparts. Ironically, Thrillist notes that a developing neighborhood hasn't reached "peak gentrification" until the hipsters themselves are priced out (even if they can still afford to go the local bars and eat at trendy restaurants). 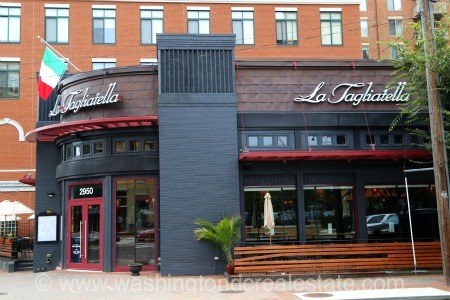 According to Thrillist, "This Virginia neighborhood across the river from DC blends the quietude of suburbia with the bustle of city life, which makes it perfect for the professionals who work on K Street." Other "highly gentrified" neighborhoods that also landed on the list include Lincoln Park in Chicago; Back Bay in Boston; the Pearl District in Portland; and West 6th Street in Austin, Texas. Interesting tidbits from the piece include the fact that the Back Bay inhabitants are considered the "hottest" and Lincoln Park is home to a decadent macaron dessert emporium. 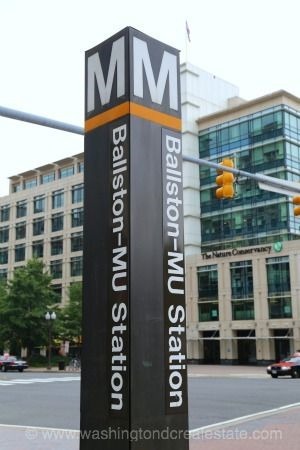 In another 2014 survey, the Clarendon neighborhood was named to the Niche.com "25 Best Cities and Neighborhoods for Millennials" list. The rankings focus on each region's best neighborhood for the millennial demographic. 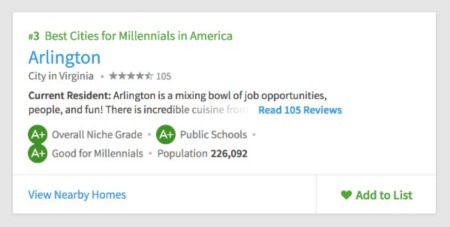 The Niche.com report notes that citizens of the North Arlington suburb generally have "very high education levels and very high income levels" that are consistent with the area's "high home values and very high rent costs." 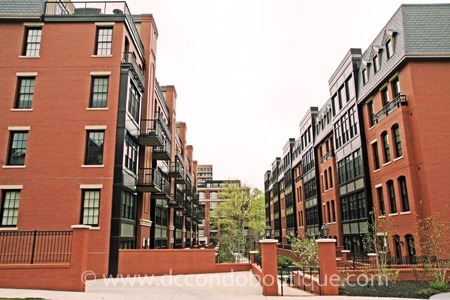 Regardless of what the pundits are saying, Clarendon continues to be desirable DC suburb, whether you're a hipster, yuppie or working stiff.